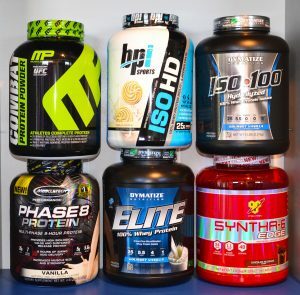 It is that time of year again where everyone from the people wanting to lose weight to gym users wanting to bulk up flock to the supplement shops and stock up on the protein powders believing it is the main thing needed to achieve their goals, despite not actually knowing what their protein requirements actually are. The main thing to understand when looking to build muscle is that it is the stimulation of muscle tissue rather than eating a high amount of protein which leads to muscle growth. Many people believe that simply eating a large amount of protein will lead to muscle growth, if the muscles aren’t being stimulated i.e. though lifting weights then the body will not require additional muscle. Protein is a macronutrient which is made up of amino acids. It is essential for all aspects of the human body, from building muscle to repairing body cells, making enzymes, hormones and antibodies. It is found in a wide range of foods such as animal products, nuts and legumes. The more active we are, the more protein we require and if you are wanting to gain muscle, you will need more to support the growth of these cells. So yes, protein is an absolutely essential part of the diet for achieving any goal. However, the fitness industry, whether it be personal trainers working on commission or the supplement companies have made people believe that you need far more than you actually do and as a result you end up spending a fortune on products you don’t need. An important thing to keep in mind is the supplement market is only sustained by a requirement to sell products rather than encouraging optimum nutrition through food. If they were to recommend people eat proper food and show that it is easily achievable, they wouldn’t have an industry. There are many posts popping up on social media showing people making protein shakes containing 50g of protein and not to mention all the products seen in shops such as; protein oats, protein cereals, protein Mars Bars etc which only adds to the notion that you can’t get enough from your diet alone. What a lot of people fail to understand is that the timing of protein ingestion is just as important as the total protein intake over the day. If the 80kg person mentioned above was to take in excessive amounts of protein which is often observed e.g. 60g of protein through shakes and eggs all at once, will only lead to the body stimulating protein oxidation, whereby some of the proteins will be used for a different function in the body and not the muscle growth you were hoping for. Therefore, you may achieve your protein target but the amount of protein required for muscle growth is not being achieved due to it being poorly distributed. With this in mind, you will achieve much better hypertrophy and recovery goals if you include small amounts of protein rich foods at each meal/snack rather than trying to cram in loads all at once. 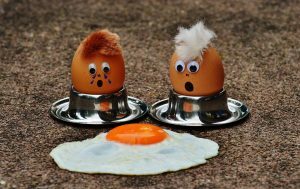 As mentioned earlier, the amount of protein you need is dependant on how active you are and what exercise you are doing. E.g. Someone looking to build muscle needs more than an endurance runner. If you are consuming more than you are needing then a number of things will happen. 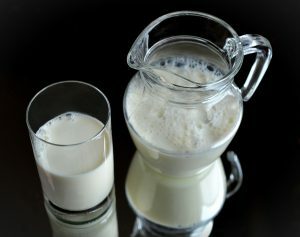 Excess protein is broken down into urea and excreted in urine. Research has also shown that a protein intake much higher than your requirements causes the enzyme responsible for protein breakdown to be elevated, if you then reduce protein intake this enzyme will remain high and as a result protein breakdown will be higher which could result in muscle loss. If you are looking to gain muscle, don’t just rush out and buy loads of products, make a plan for training, work out how many calories and macronutrients (Protein, Carbohydrate & Fat) you actually require to achieve your goals, get yourself organised by making shopping lists, menus for the week etc, start tracking your calories and macros. Only then will you be in a good position to make good progress. If you just jump into it without any prior planning you will either not succeed or you will end up spending a fortune and causing the process to be more complicated than it should be. If you are wanting to build muscle or are struggling with your nutrition. Contact me to find out how I can help you achieve your goals.